Decorate car appearances, make your car special and unique. 【Comfortable Experience】Material: PU leather, memory cotton, Soft material makes you more relaxed, add comfort to your arm, prevent muscle paralysis, effectively relieve fatigue.Premium allergy-free material, non-toxic, no smell, environmental. 【With Storage Pouch】 Convenient for put phone, purse, card, etc. Easy installation】Secure the box mat to the armrest cover with two elastic straps, without sliding. 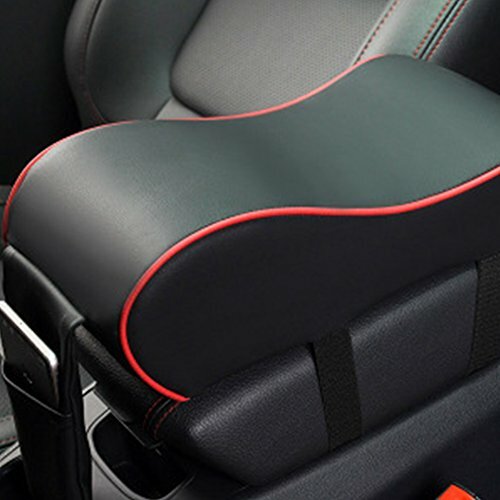 【Protect the original】Effective protection of the car's original armrest cover, to prevent any scratch scratches.Protect the original cover of the car armrest.Decorate car appearances, make your car special and unique.